Home / Who We Are / Community / Take Action & Wear Pink! 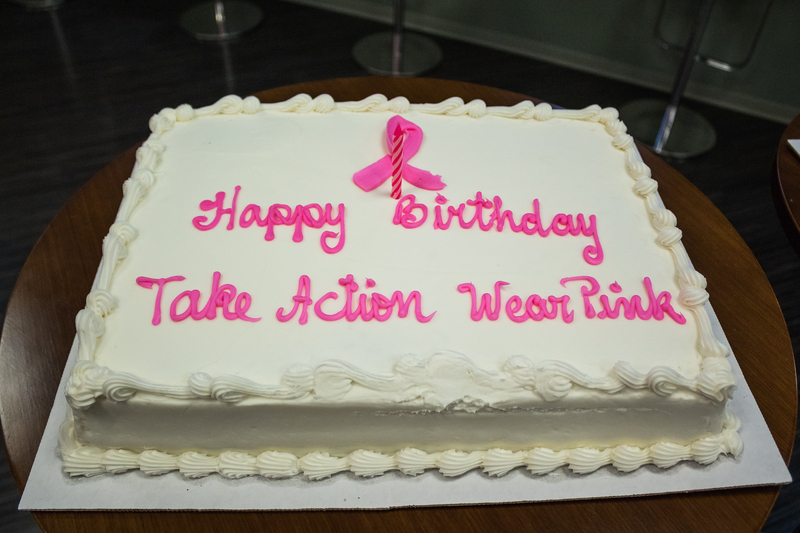 Take Action & Wear Pink! Wear Pink! 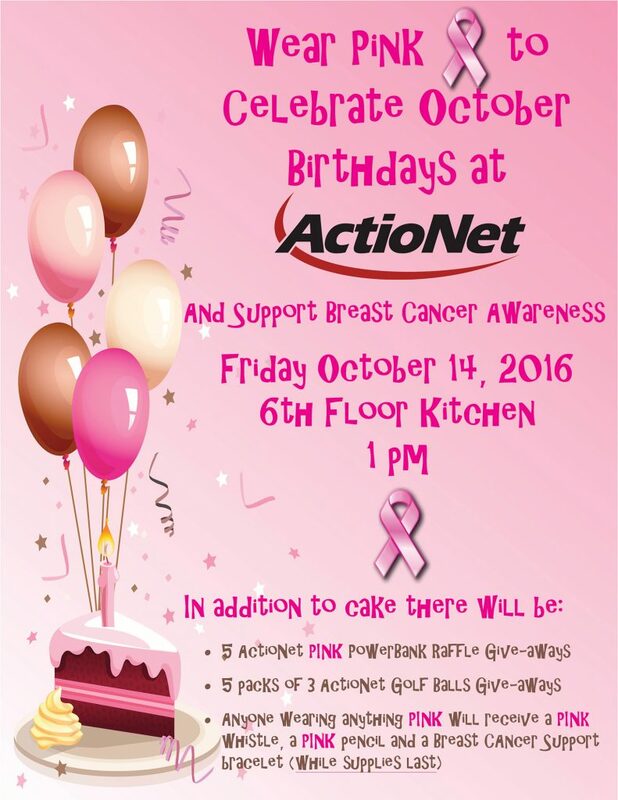 is an ActioNet awareness initiative, which we will combine with our Monthly Birthday Cake Celebration on Friday, 10/14/2016. We just ask you to wear something pink and donate whatever you can. We will use the money with a 100% Company match and donate to The American Cancer Society. The American Cancer Society is determined to save lives from breast cancer by promoting early detection and prevention, funding groundbreaking research, and giving patients support wherever and whenever they need it. Because of the passion of supporters like you, Wear Pink! is helping to create a world free from the pain and suffering of breast cancer. Have fun with your colleagues, friends and family. 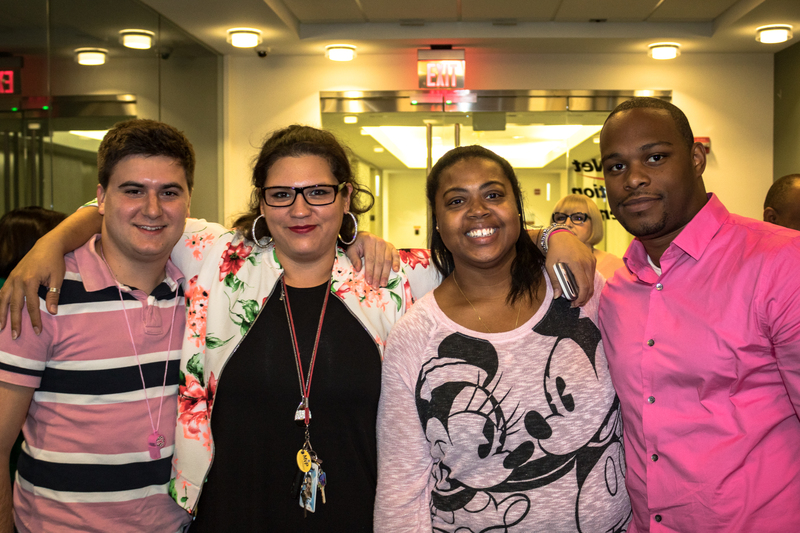 So whether you’re a first timer or a seasoned wear pinker, Take Action and Wear Pink on Friday, 10/14. It is a piece of Pink Cake! ActioNet, Inc., headquartered in Vienna, Virginia, is a SEI CMMI® Level 3, ISO 20000, ISO 27000, ISO 9000, HDI-certified, woman-owned IT Engineering Services Firm with strong qualifications and expertise in Cloud-based Solutions, Cyber Security and Agile Software Engineering. As a Mission-Focused, Client-Centric and Results-Driven organization, ActioNet also follows the Project Management Institute (PMI) methodology as well as Information Technology Infrastructure Library (ITIL) standards. ActioNet has outstanding financial performance, as evidenced by our “Exceeds Customer Expectations” and the highest 5A1 Financial Rating from Dun & Bradstreet, a 92 out of 100 rating from Open Ratings, the 2014 National Capital Corporate Growth Award by the Association for Corporate Growth (ACG), and Washington Technology Top 100 2012-2016. 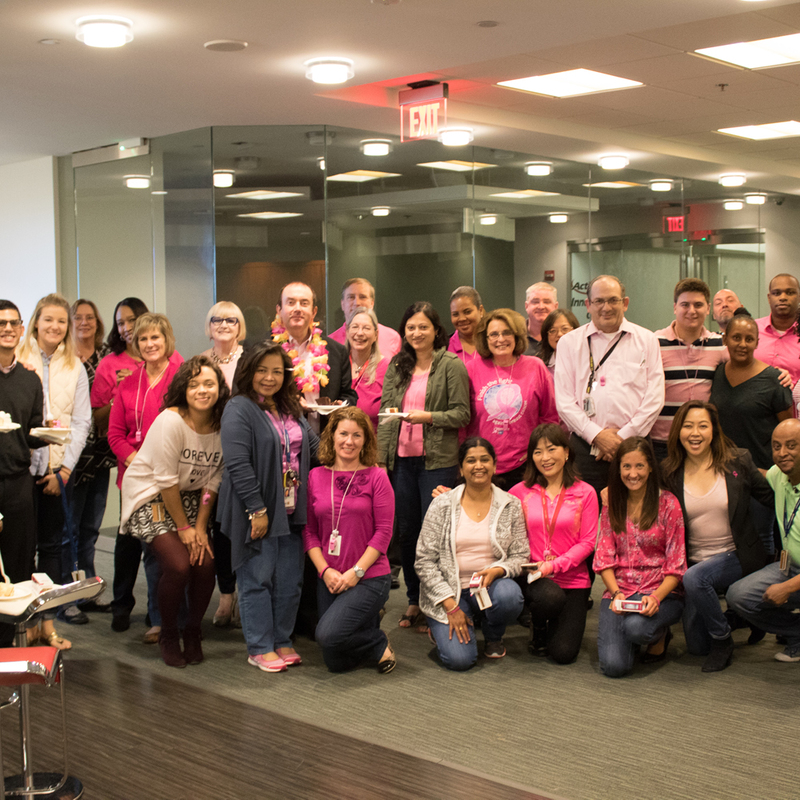 ActioNet’s human capital leadership is recognized by being designated one of the Best Workplaces for Commuters℠ by the Fairfax County Department of Transportation (FCDOT) 2013-2016 and Washington Post Top Workplaces 2014-2016.